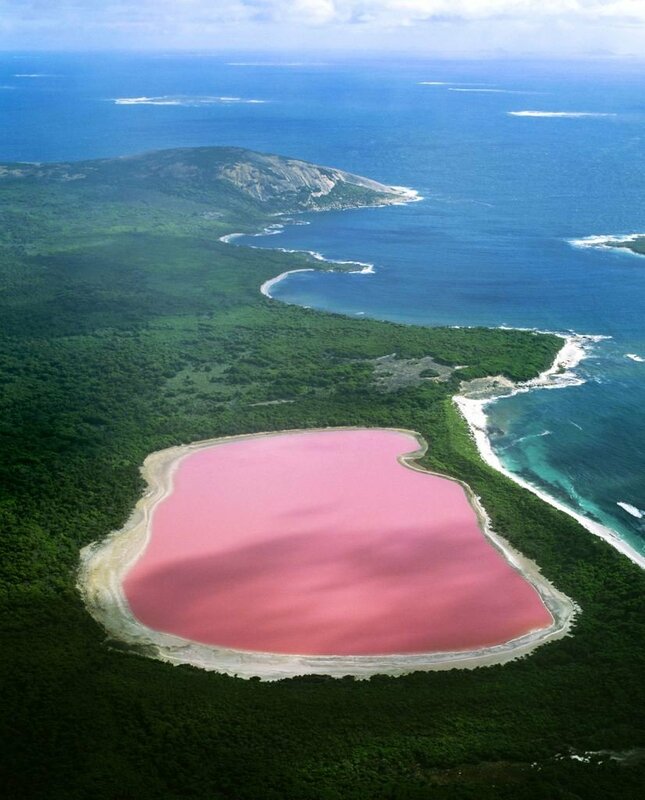 Lake Hillier is a lake on Middle Island in Western Australia. 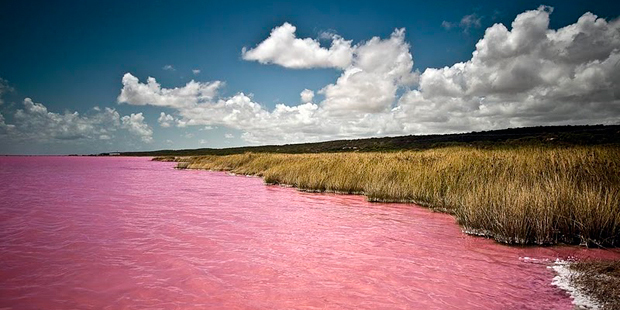 The most notable feature of this lake is its flamboyant colour, rose pink. 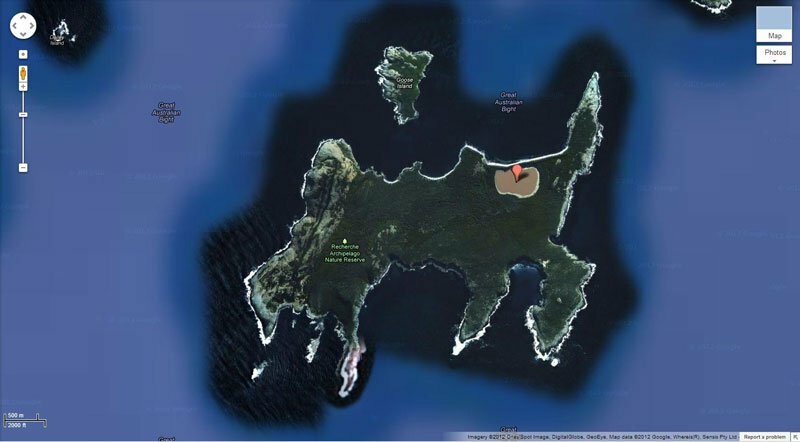 It is such a significant distinguishing feature of the archipelago that air passengers often take note of it. 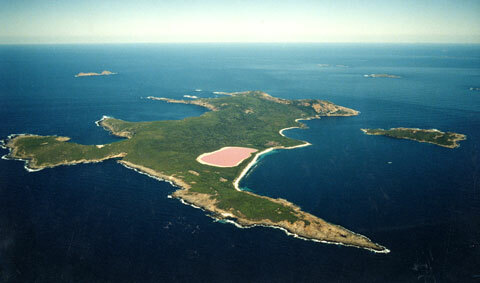 The colour is permanent, as it does not alter when the water is taken in a container. 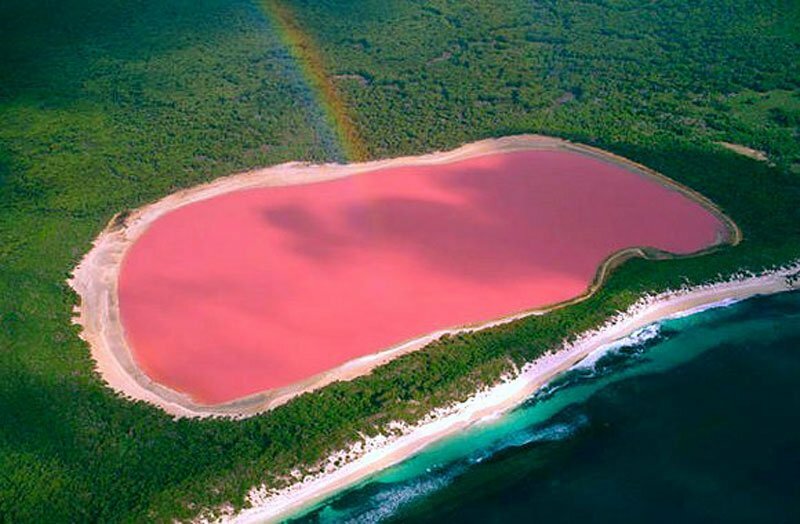 The reason for the lake’s colour is still under investigation, and so far no one has come up with a reasonable explanation. However, the most probable explanation according to some scientists involves the low nutrient concentrations and growth of Dunaliella salina & halobacterium. 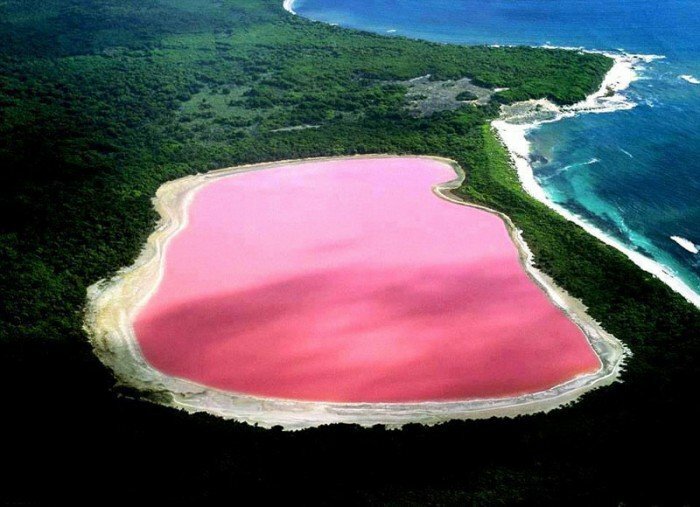 The lake is one of the natural wonders of Australia.